This is the site I saw from the Overland Track just before I started my last push towards Cradle Mountain. If you look really hard you’ll see Kitchen Hut right at the base of Cradle Mountain. In this shot I love the fact that you can see most of Cradle Mountain and Barn Bluff in the background. Was it cold up there? It sure was, it was around -5 degrees which is pretty cold in my books! I’d love to return to Cradle Mountain one last time and grab a helicopter and cover it and the surrounding areas from the air as it would be pretty easy to get some amazing stuff. This is a five image stitch with each shot comprising of two exposures one for the mountain and the other for the sky. 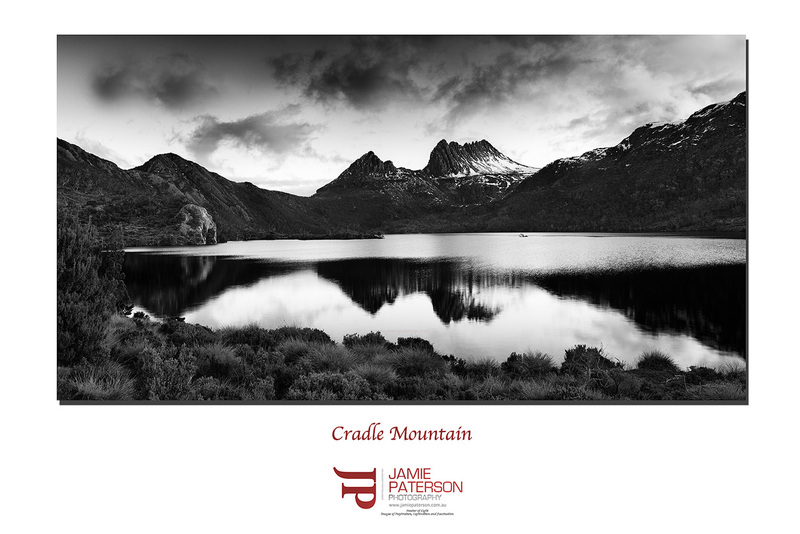 Cradle Mountain, what a stunning piece of the Tasmanian landscape. I drove past it quite a few times when I was in Tasmania in 1987 but I never had the opportunity to stop and have a look at it unfortunately. Since then its been burnt on my mind. I’ve been to Tasmania six times over the years but never as a photographer and finally when I went there in January this year I was lucky enough to spend the night at Cradle Mountain. It captivated me, it was beautiful, seemingly untouched and still very wild. It drew me in and I wanted to spend more time there so I planned to stay at Cradle Mountain for 5 days a couple of weeks ago. It was so much fun. As I was there for 5 days I got to see the mountains different moods and absorb the atmosphere. There is a very strong sense of place running through this place. Its no wonder Gustav Weindorfer lived most of his adult life there. Well I hope you guys enjoy this photo. 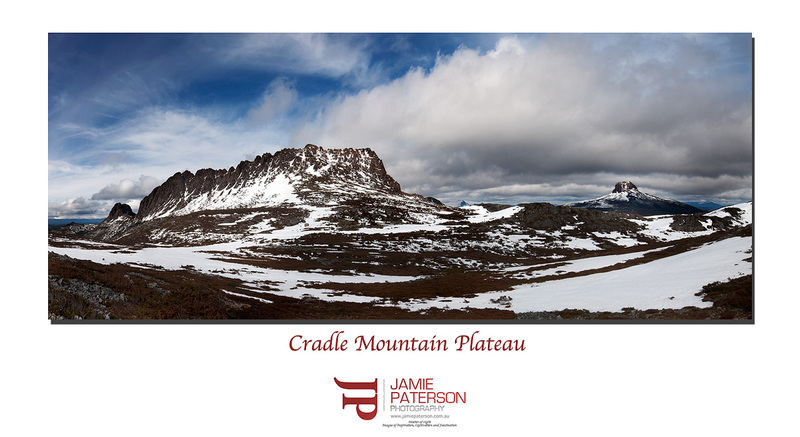 If you ever get the chance to head on over to Tassie make sure you spend at least a few days at Cradle Mountain. Welcome to Mt Roland in Tasmania. I’d seen this mountain when I was in Tasmania in January but unfortunately I didn’t get a chance to photograph it as I ran out of time. In fact I almost ran out of time again on this occasion as I only had 3 hours before jumping on the plane and it had taken me much longer to get to this spot because of ice on the road. I’m not really sure how we are supposed to drive with ice on the road as I’ve never done it before so I just went amazingly slow on the road. Mt Roland is really a very imposing feature in the Sheffield area as Mr Tim “Island Images” Wootton will confirm, after all its his home turf. I’m glad I finally got to shoot it and I’ll definitely have another go at it again when I’m back there in six weeks time. Just out of curiosity, does anyone have any hints for what to do when driving when there is ice on the road?